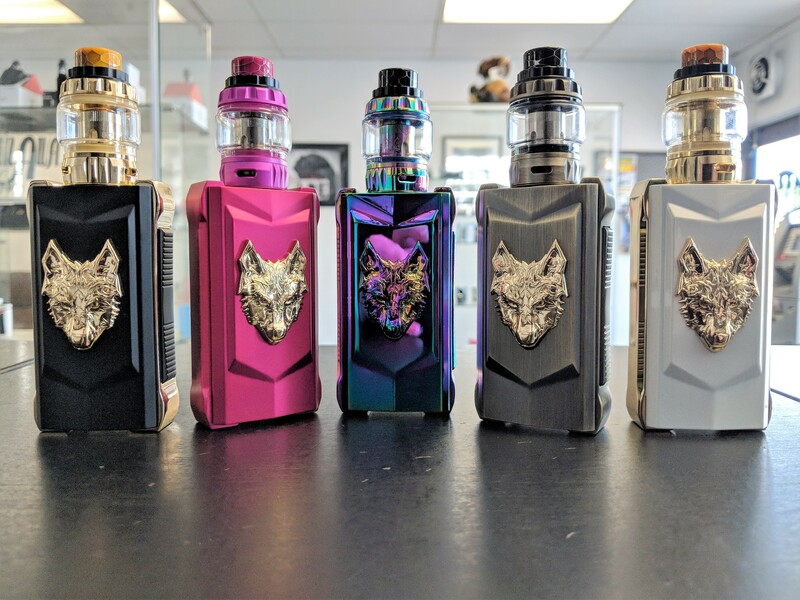 To celebrate one of our favorite vape brands, we are offering a sweet deal on the Vgod 200W Kits! We’re bringing the price of these all the way down to $110; a whopping $40 OFF the original price! Stop in before they are all gone! 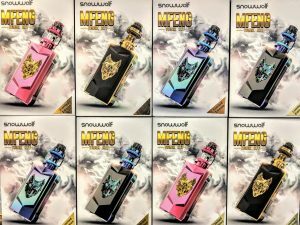 New M-Fengs from SnowWolf are back! and they are bound to go quick! call ahead and pre-pay at (605) 274 – 0157. 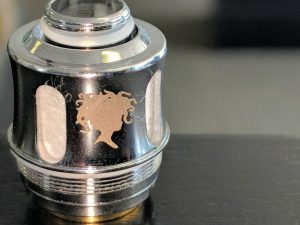 Mesh Coils – The King of Flavor! Mesh coils are here to stay. 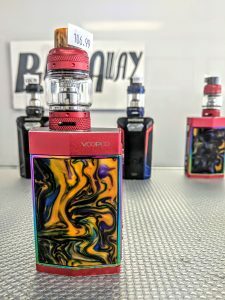 With kits like the VooPoo Too, and Smok Prince, mesh is standing out as the new mainstream for sub-ohm vapers. This is no random happenstance, mesh delivers a clean, rich flavor without forcing you to drink vape juice. 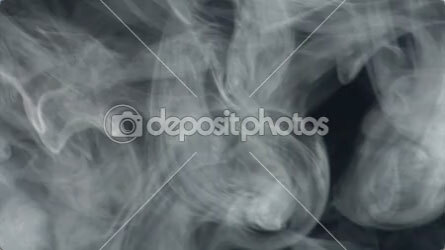 And if you ask me, that should be a pretty obvious choice for all vapers. However, I wasn’t completely convinced this could be the new normal until our shop recently started stocking mesh coils for one of my favorite tanks of all time: the Valyrian. Pictured right is the coil which runs up to 110 Watts, built by Medusa Vapes, and throws clouds just as dense as the original coils with (of course) off the charts flavor due to the mesh wiring. 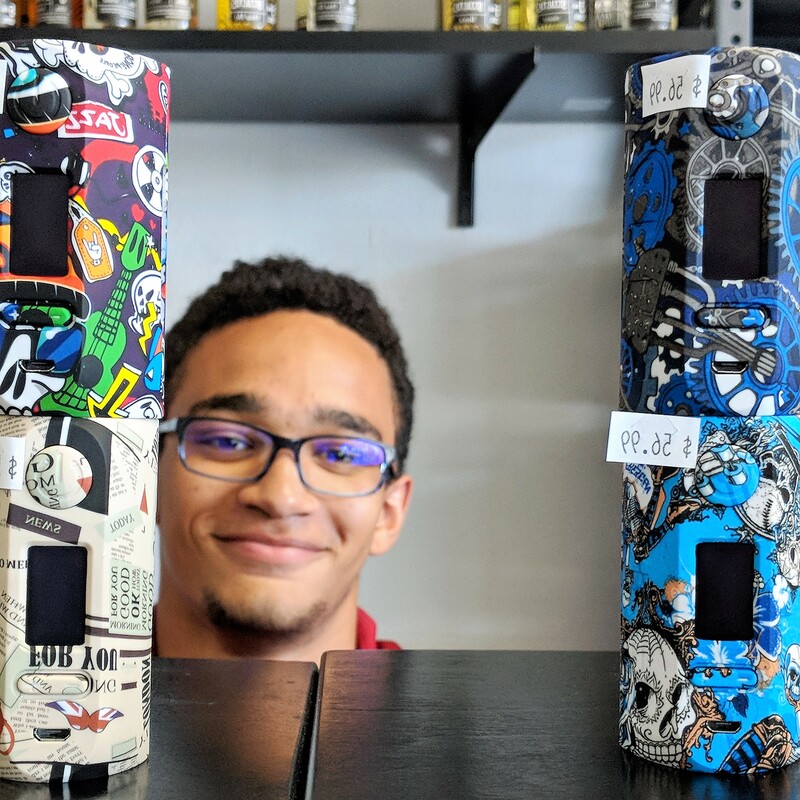 With the popularity of pod systems (I’m looking at you, Juul) traditional vapes have temporarily gone by the wayside; however mesh coils may be just what is needed to turn a new leaf in the vaping community and bring flavor back into the spotlight instead of just nicotine. This is more important than it may sound because after all, isn’t the whole point to ditch your nicotine dependence? Mesh gives people a reason to go big with their mods, and really enjoy (I mean REALLY enjoy) the flavor their vape can produce! Make the switch to mesh with these fine tanks and kits, right here at Blown Away. 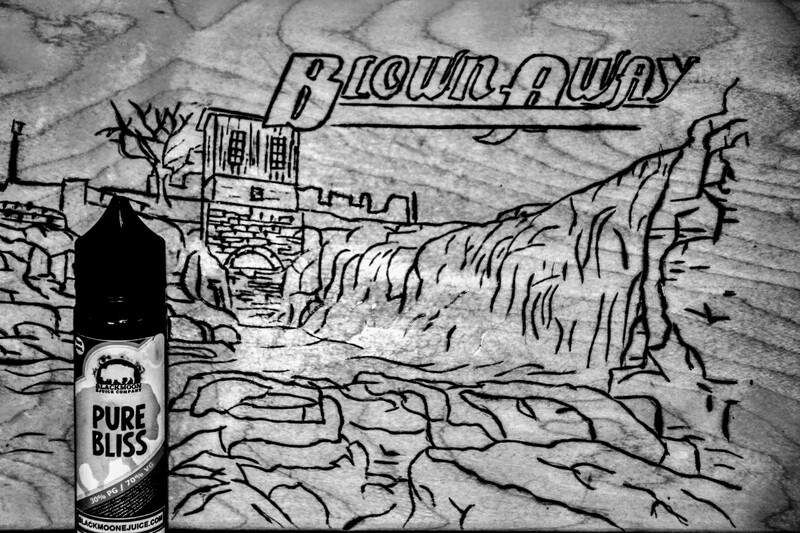 3 new flavors have been added to our collection each in larger 60ml bottles at $20.99/bottle! Check below to learn more about Morning Mist, Pure Bliss, and Sea Monster! 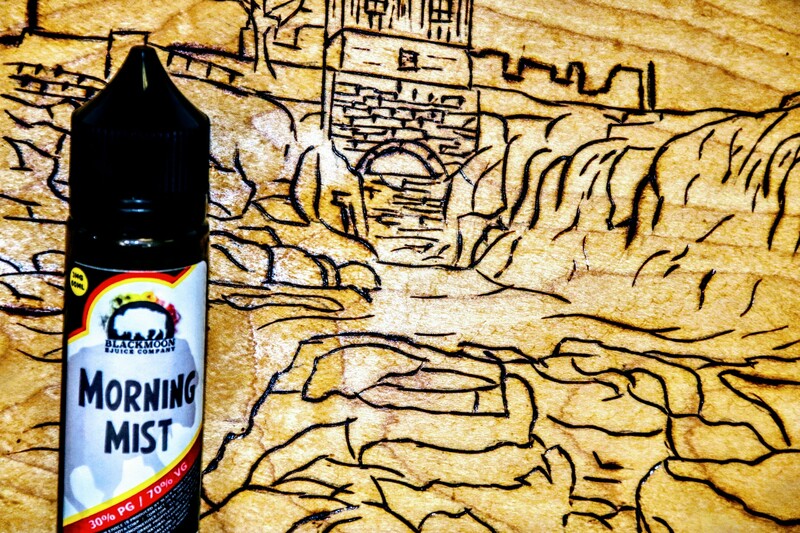 Morning Mist – green apple, peach, and kiwi blended in a Magic Bullet and poured straight into your vape tank. Pure Bliss – a watermelon cross pollinated with a braeburn apple and forced inside a strawberry. Mmmmm Delicious! 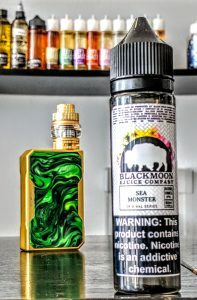 Sea Monster – harvested straight from Lake Loch Ness, this juice is reminiscent of its origins with watermelon, dragonfruit, and a secret, elusive flavor. Arriving in store Aug. 20th! Over the years, Blown Away Vape has been refining our vaping expertise in order to bring you top-notch vape equipment at a good price. With over 20+ years of vaping experience between the staff, we know which products will provide the best nicotine delivery, best flavor and of course, biggest clouds. Today, we’re featuring a couple of new additions to our mod line-up! Check em’ out! First up: the Puma. 200 Watts of pure cloudage hide behind these colorful, graffiti style vapes. Light as air, and ultra durable, these mods are perfect for anyone with a need for major cloud but doesn’t want a bulky, heavy vape to carry around. 6 designs currently on the shelf with more on the way! It may be difficult to believe, but these mods look even more beautiful in person. 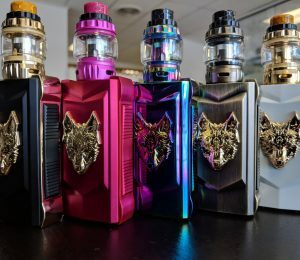 From SnowWolf (an already well reviewed maker of vapes) comes the M-Feng; A truly stunning kit with 200 Watts of power, magnetic battery bay, and a double-sized fire button.